We are oftentimes unaware of the dangers lurking just around the corner. That is the reason why we need emergency funds. Financial emergencies can come in different forms. It could be an accident, health problem, investment losses or damages to property due to natural disasters that could cause unwanted expenses. 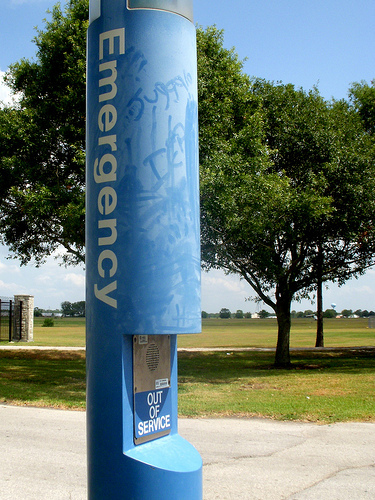 Whether we like it or not, we may spend some amount for unexpected emergencies. And it is the last thing that we want to do. We don't want to be forced to pay for something that we are not expecting - something not in the list of your planned expenses. It is very important that everyone should learn how to save purposely for emergencies. This money will be the source of funds that you can use so that won’t have to borrow when the need arises. Normally, we ignore the fact that accidents, disasters and tragedies may actually happen at the very moment that we are not ready. Some believe that once you think of these scenarios, you are inviting bad luck to yourself. However, whether you are inviting positivity or negativity to come to your life, it is best to be ready at all times. Preparedness is the key to avoid finding yourself in a difficult situation. To that end we all should build an emergency fund that we can use anytime, in whatever circumstances that may take place in the future. No matter how bad the situation is, you will have something to fall back on. Saving up does not require you to keep half of your salary because if you do, you will surely wreck your financial plan. The solution is to start with a small amount. It should be manageable so that you will have a better chance of reaching your goal. Once you get used to the amount that you are putting in to your emergency fund, slightly increase it. You will get used to the process and it will work in your favor in the long run. You can put your emergency fund in your savings account or in any short-term investment. This way, your money is far from your immediate reach. Thus, you will not be tempted to spend it somewhere else. Find an account that will give you a reasonable interest so that aside from being able to save, you will earn as well. Once you start building your emergency fund, you have to do what you can to keep saving a habit. Saving up is not easy. It requires sacrifices especially when it means some belt tightening. It will undoubtedly oblige you to cut down some of your unnecessary expenses. The habit of saving should be done continuously and not for a short period of time. The only way for this to work is to appreciate the value of being prepared. Hope for the best but plan for the worst. As early as now set up an emergency fund because when it concerns the future, you just never know.